All-Ireland Senior Final: Tipperary v Kilkenny at Croke Park, Dublin. Exciting moments at the Kilkenny goal when S. McLoughlin (Tipperary forward) gets the ball in a tussle with Kilkenny defenders. 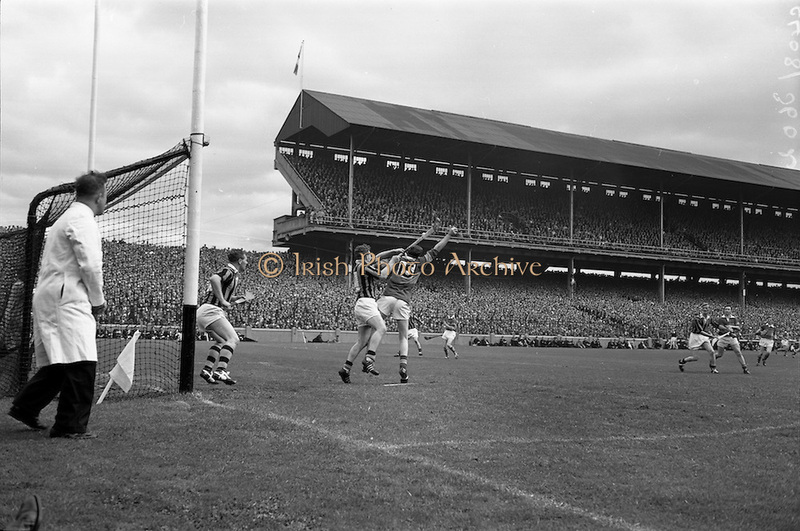 Moments later, the ball went into the net and Tipperary's second goal went up on the scoreboard. However, to the dissapointment of the Tipperary supporters, the score was disallowed.